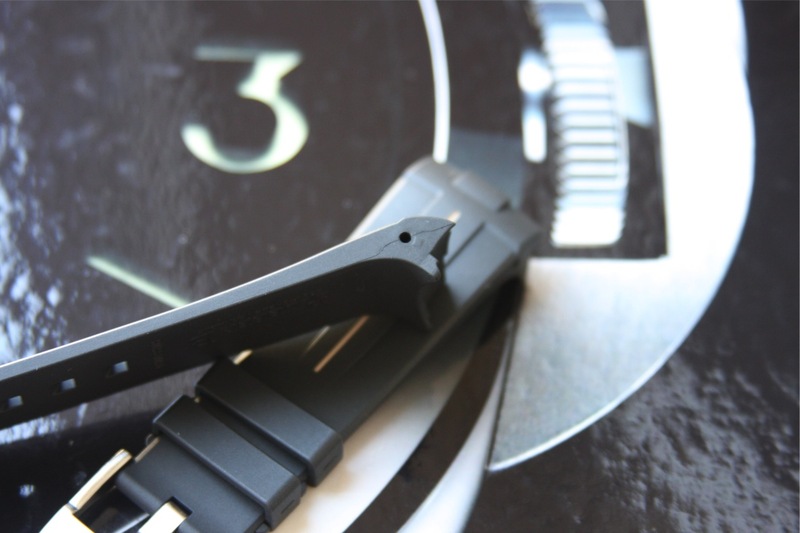 All Rubber straps are created equal right? 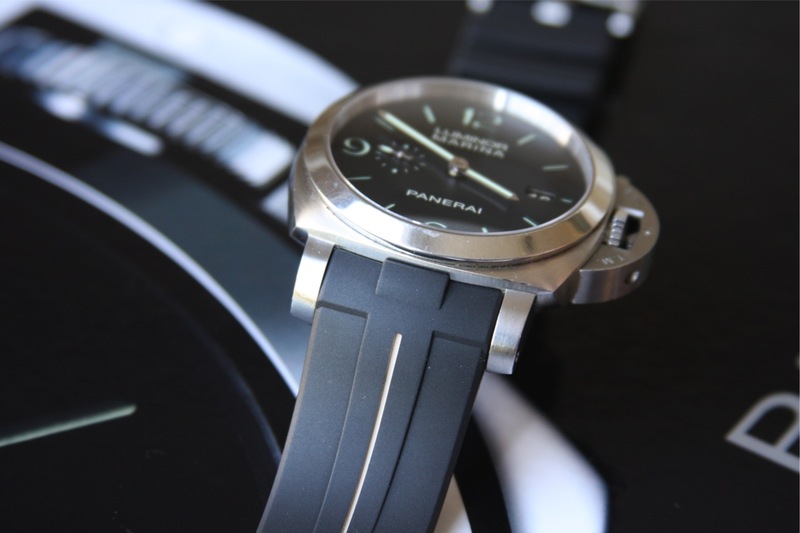 I already got a rubber strap with my Panerai, why would I want another one? 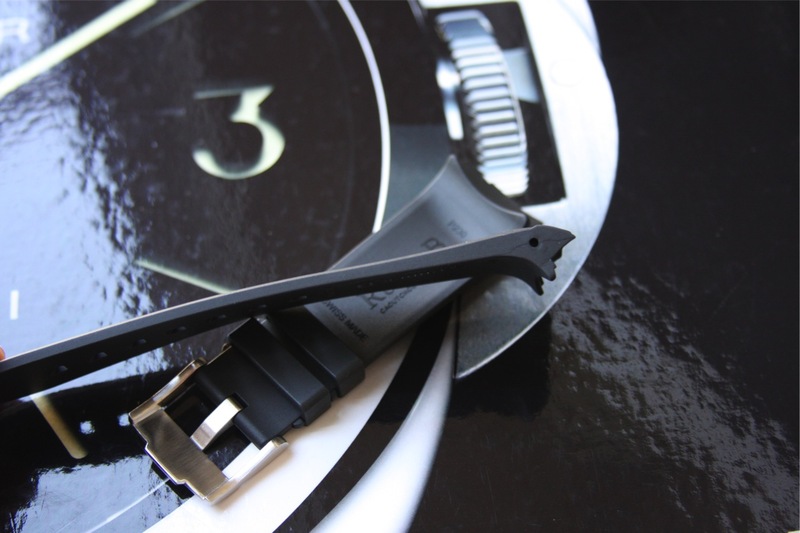 How can anyone make a rubber strap any better? 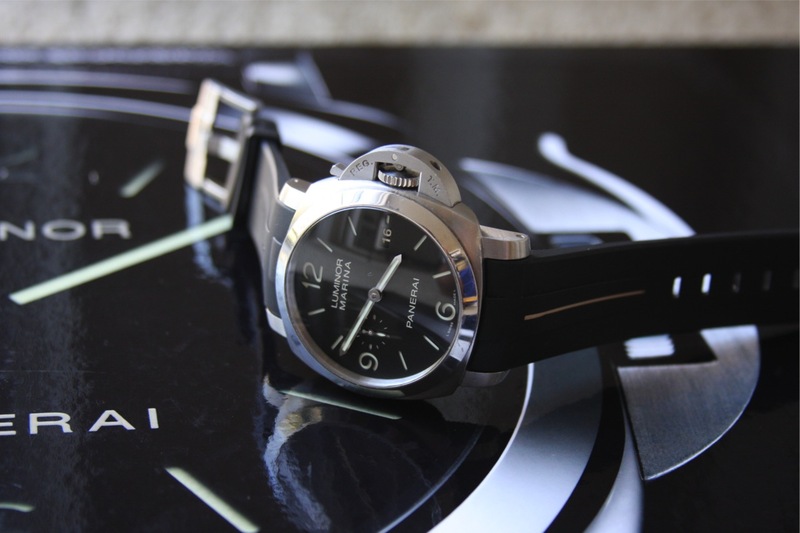 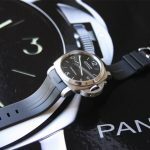 Those are all questions you might ask me or anyone else that tries to tell you about the Rubber B straps that have been recently been announced for the different Panerai models. 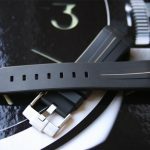 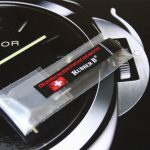 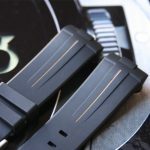 In this review I will tell you why you need to add the Rubber B VulChromatic strap to your list of straps and get one as soon as possible. 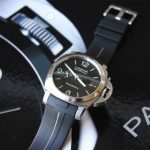 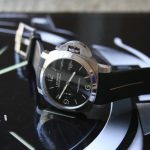 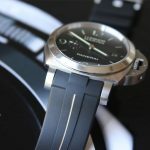 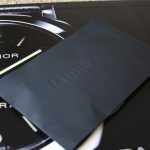 Rolex enthusiasts have been part of the Swiss made Rubber B revolution for a while and finally the strap-a-holics who own Panerai have a chance to jump into the same type of fun. 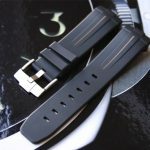 I finally got my hands on one of these straps and like most was kind of skeptical on how could you really make a rubber strap any better? 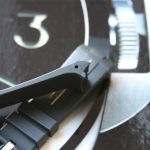 In this review I will explain exactly why I became convinced the moment I took the strap out of the bag and had it in my hands. 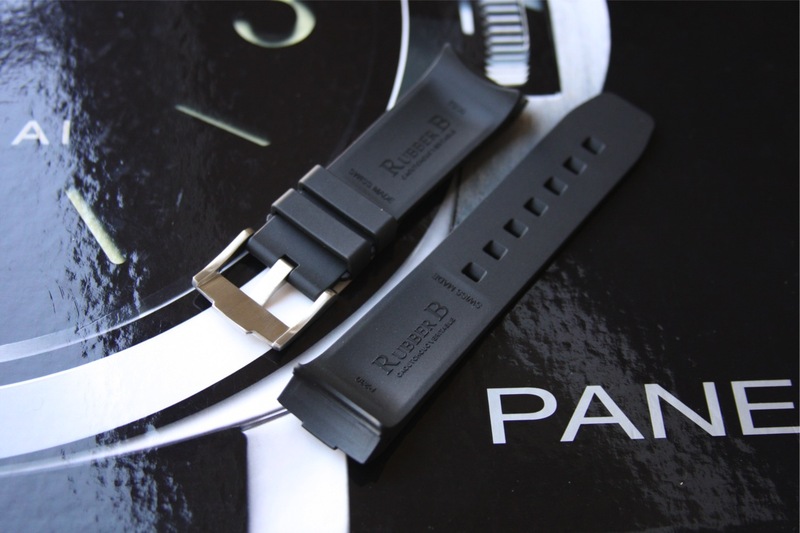 The Rubber B strap comes in two different models the standard black rubber or the Patented Dual color VulChromatic model. 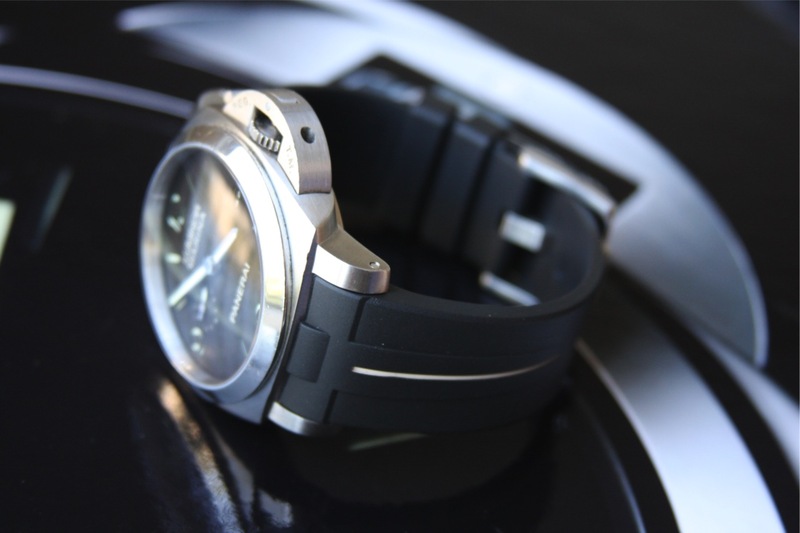 I opted for the tan VulChromatic model which uses that technology to produce a limitless flexibility and conformity between two pieces of different colored vulcanized rubber. 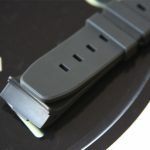 The colored part on these straps are fused to the black rubber as compared to a cheaply made strap that might use paint, bonds, or glues to create the same effect. 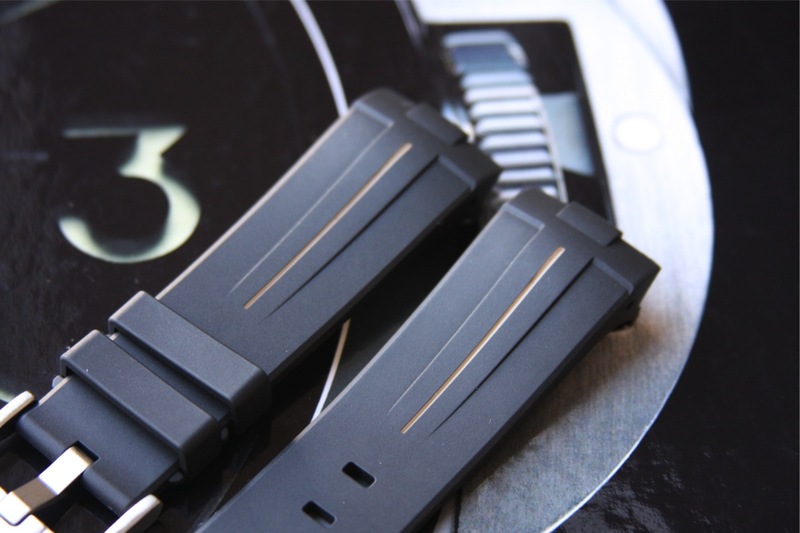 Because of this amazing technology you can contort and move the strap in any direction without compromising the quality of the strap. 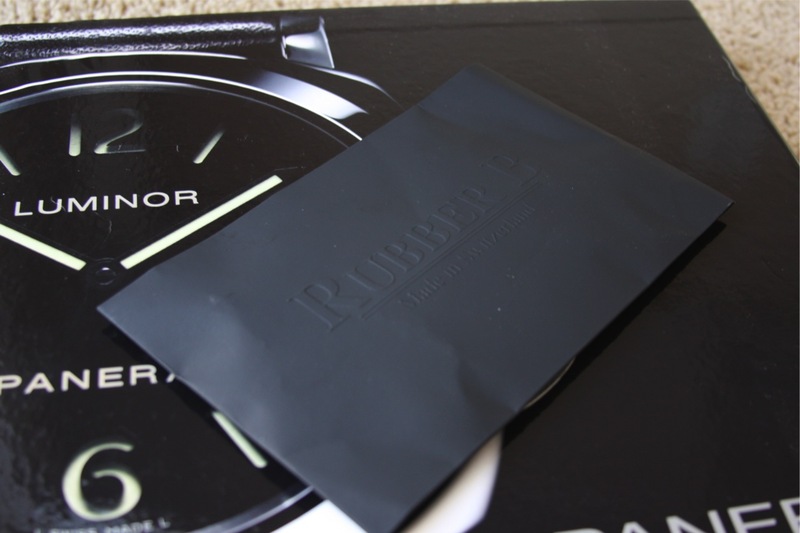 Upon opening the bag with the strap in it and holding it my hands for the first time I quickly realized how soft the rubber felt in my hands. 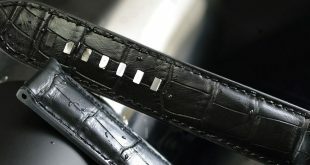 The strap felt like it was made of the softest Italian leather, but in fact it was completely made of vulcanized rubber. 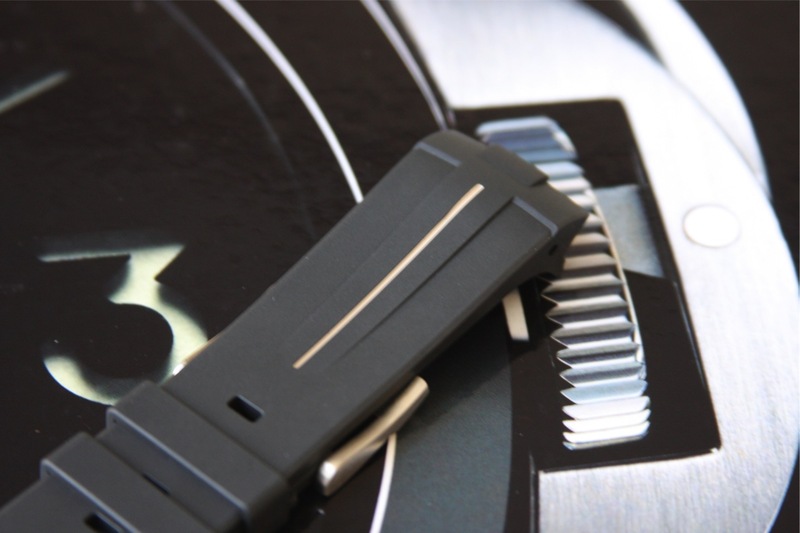 Vulcanized rubber is made from an elevated density composite providing superior resistance to damage and exterior elements such as ozone, UV, and the harsh aquatic environments. 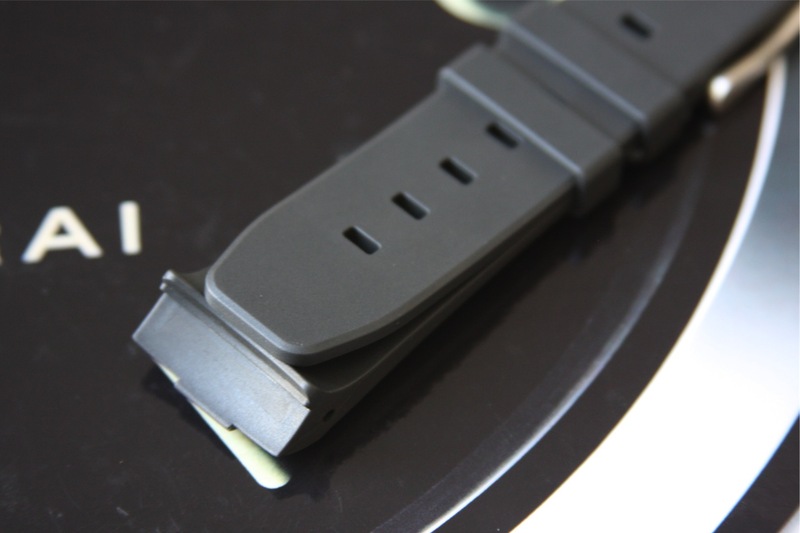 Vulcanization of rubber is a process by which natural rubber is enhanced by creating sulfide bridges between the molecular adjacent chains, to form a more tough and controllable material which can be manipulated to suit the requirements of a specific use. 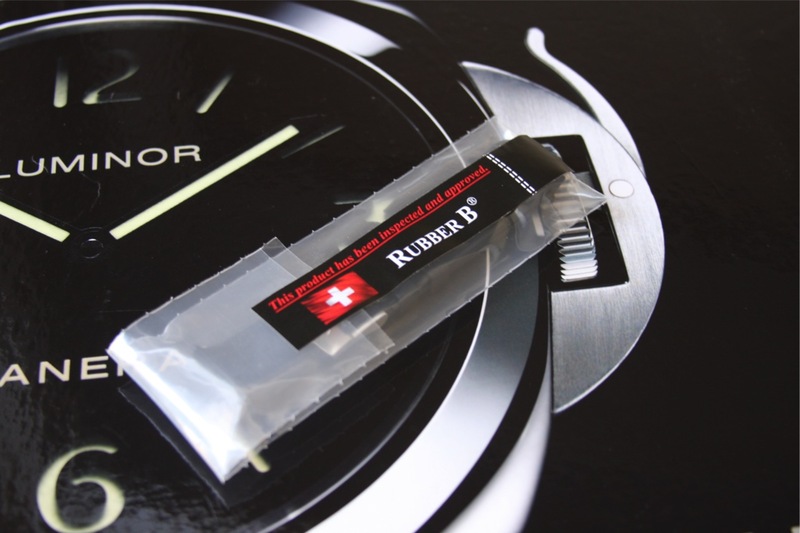 In order to alter the molecular structure of natural rubber, natural and/or chemical additives are introduced during the vulcanization process. 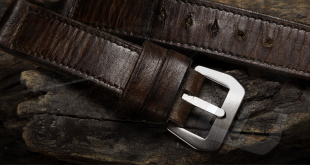 The FDA must monitor and approve the levels of these chemical ingredients in consumer goods. 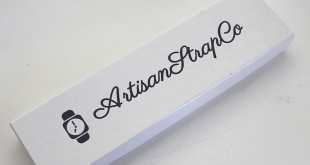 This assures the public that a product is Non-Toxic; Non-Allergenic; and Non-Marking. 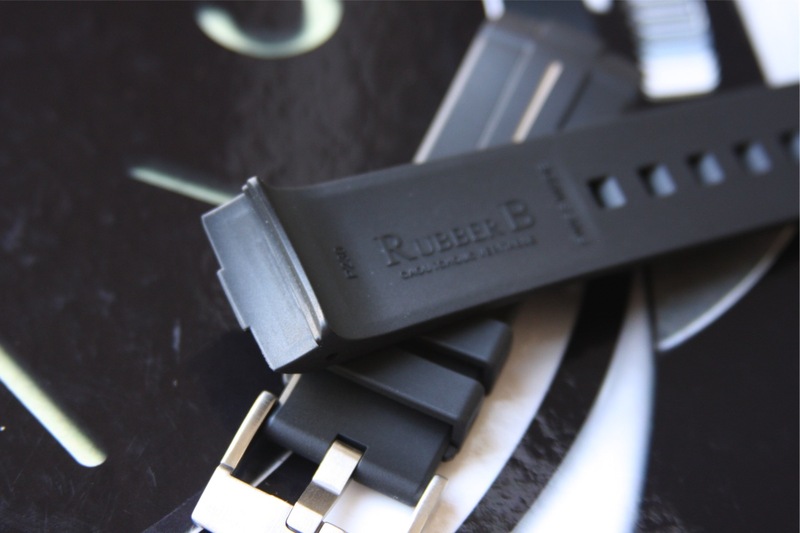 Unlike the OEM rubber strap that come with Panerai watches, the Rubber B uses a blocked integration. 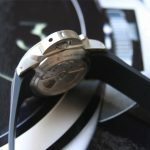 What this means is that the strap has been micro-calibrated and engineered to achieve a full integration with the watch where the lugs are. 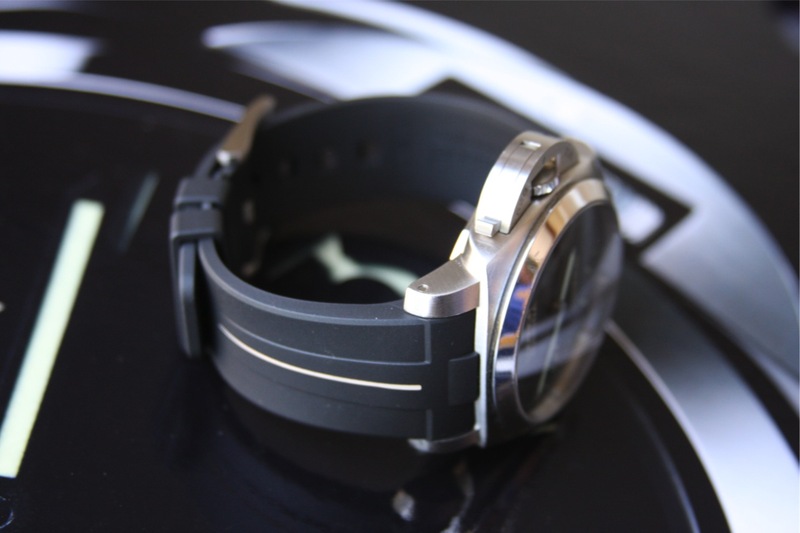 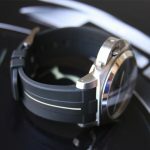 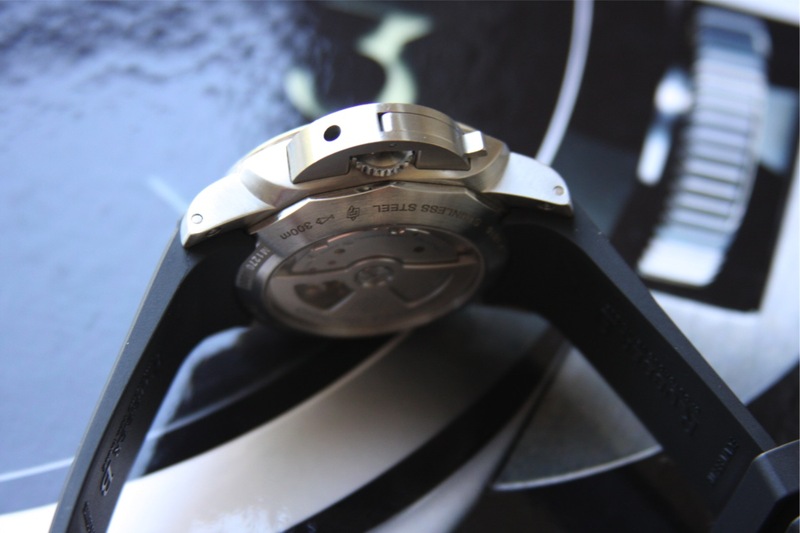 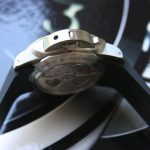 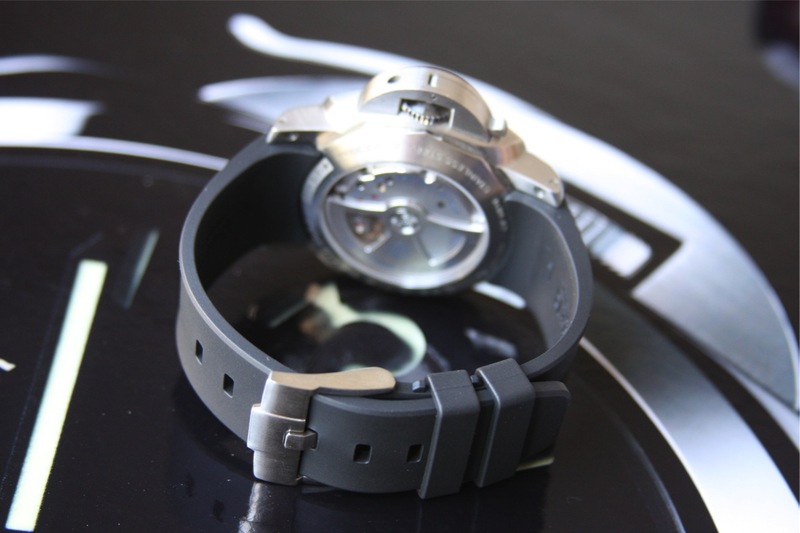 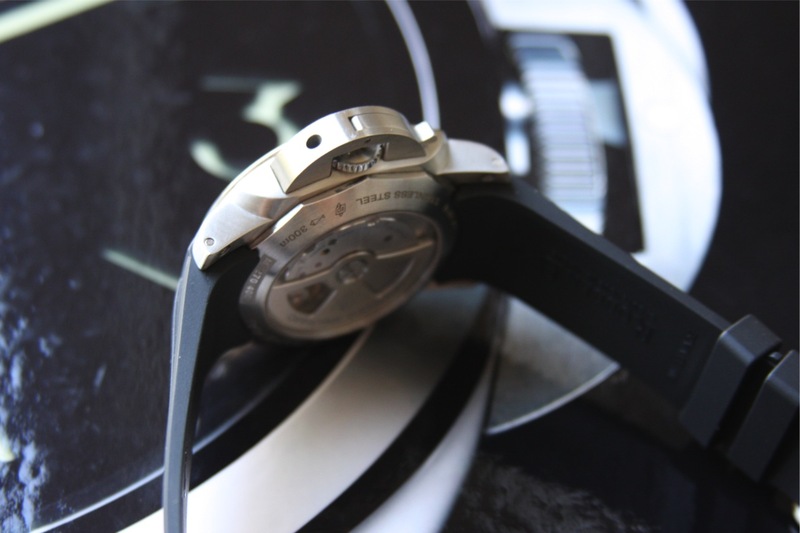 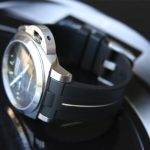 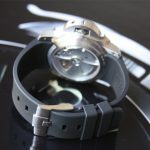 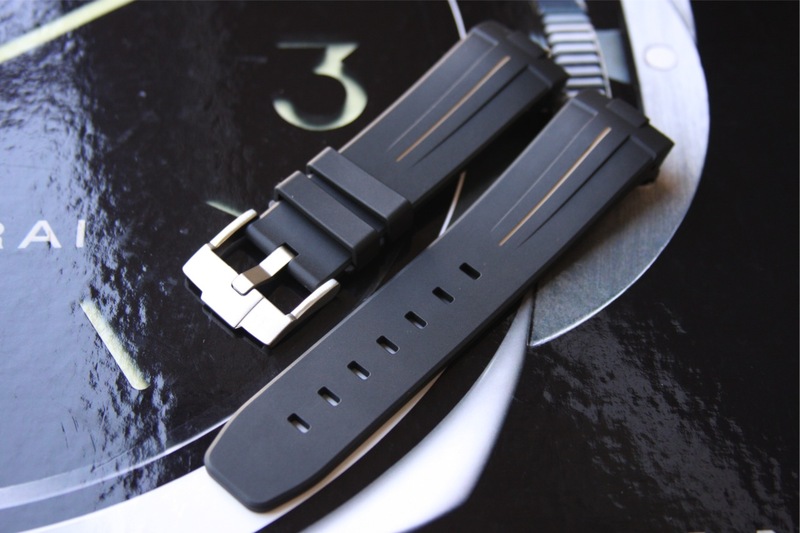 The way the the strap curves and conforms to the watch gives the strap a very fluid design. 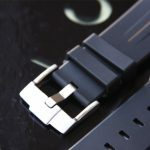 Because of the great lengths taken to ensure the fitment of the strap, you are left with a gap-free mount on the head of the watch. 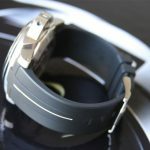 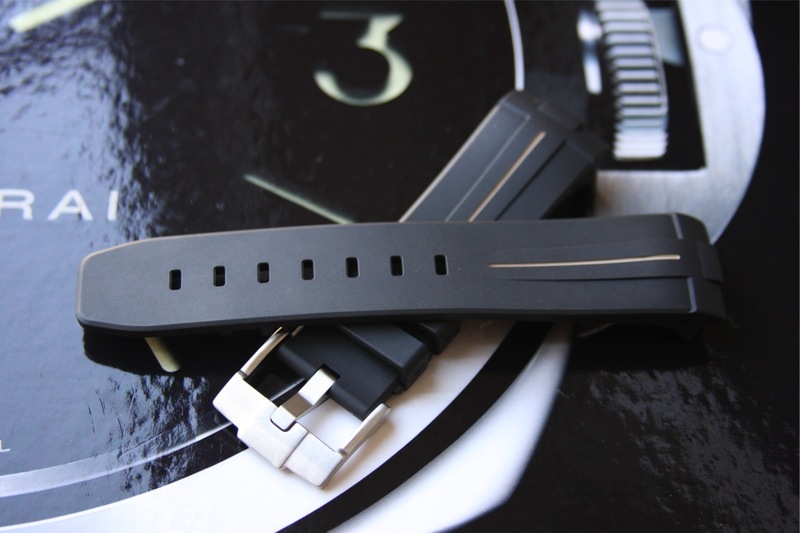 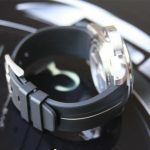 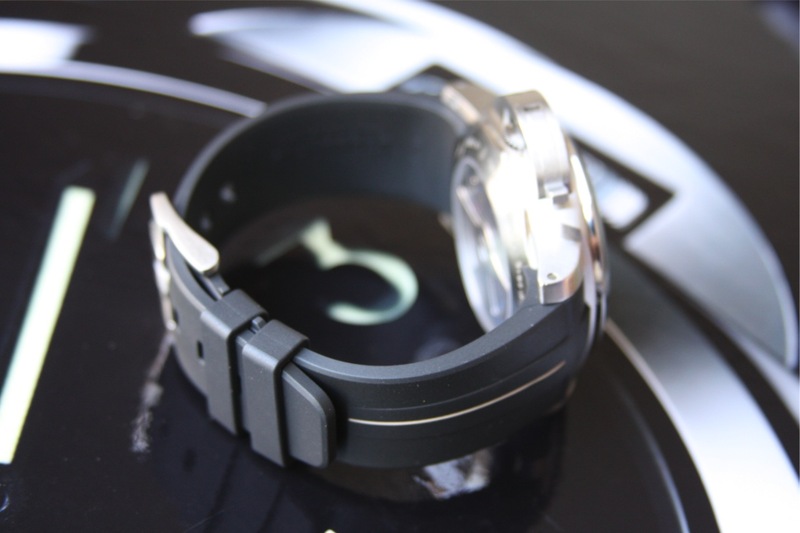 The fitment on the Rubber B Strap is as exact as you can get. 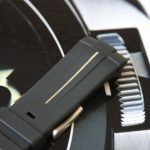 you will notice in the pictures how well it conforms to the lugs and the case back, even having the step for the case back. 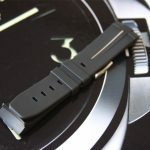 The Rubber B strap has to be one of the most comfortable straps I have ever put on. 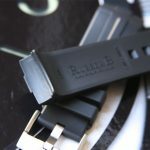 Whether it is going to be diving in the ocean or just a hot summer day, the Rubber B is the perfect strap. 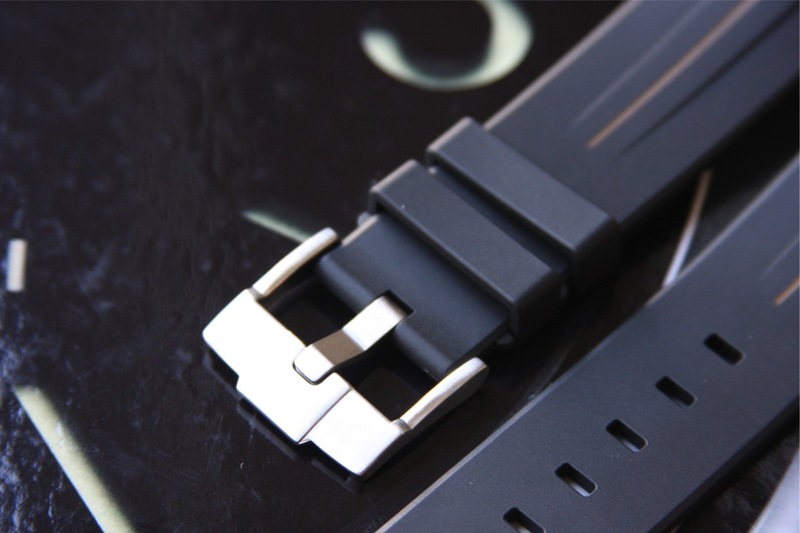 Using the blocked integration technology the strap truly conforms to your wrist and gives it a nice snug fit that doesn’t move around on the wrist unlike my OEM rubber strap. 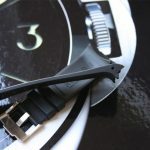 I personally can’t imagine going back to the OEM rubber strap for everyday use after putting this one on the trusty 312. 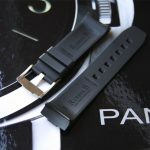 I was skeptical going in but I have to say I am truly blown away by the build quality and overall comfort of this strap. 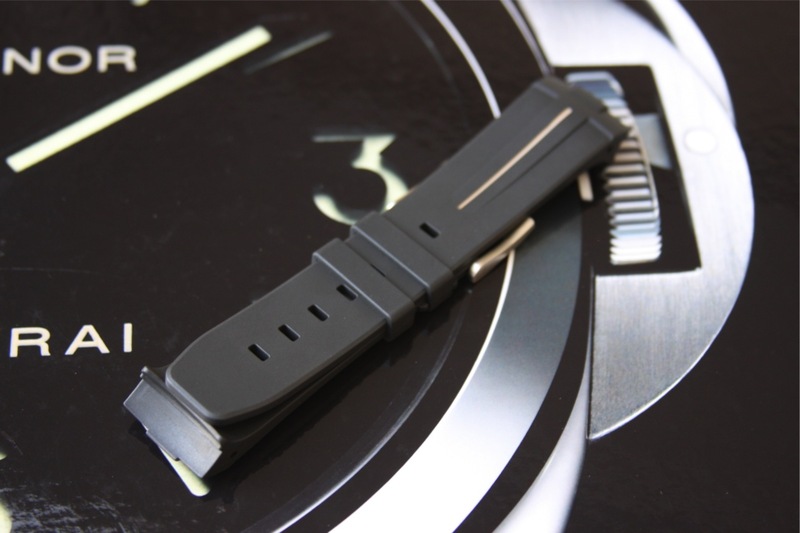 A lot of technology has gone into the design of this rubber strap and it shows on every facet of the strap. 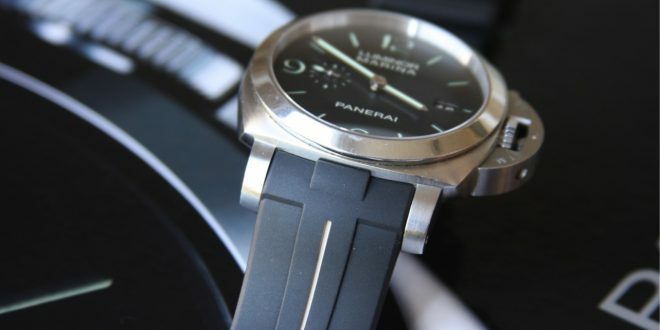 I highly recommend this strap to any Panerai owner. 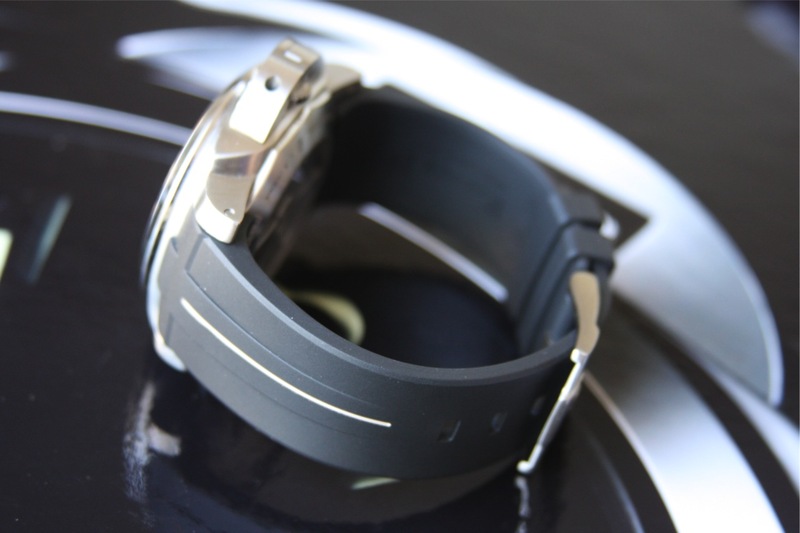 Very comfortable as it conforms to the wrist. 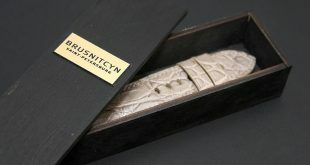 It’s a bit on the pricey side but well worth it. 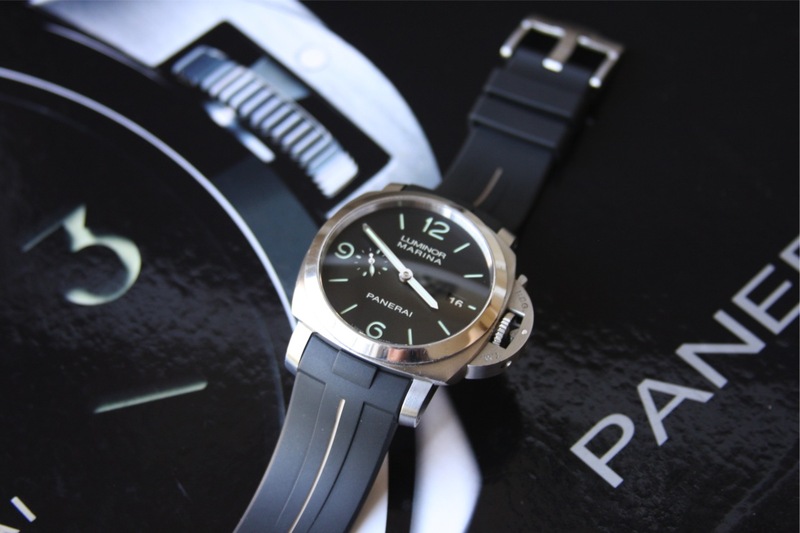 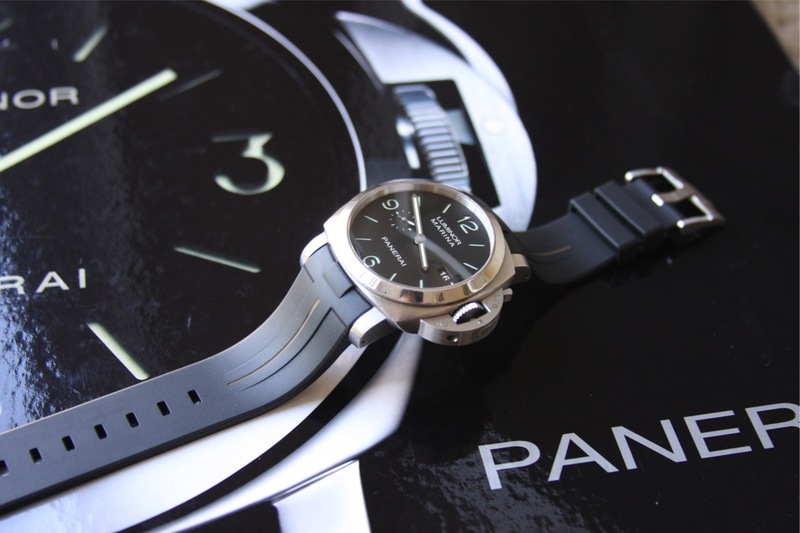 Currently available for most models of Panerai.